What Is The Definition Of Death Spiral In Figure Skating? 1. The death spiral is a move done only in pair figure skating. The death spiral is when the male skater pivots on the ice with one toe anchored into the ice. He then holds his partner’s outstretched hand while her body is almost parallel with the ice, spinning around him. While she is spinning around her partner, only one of the her skates is touching the ice. 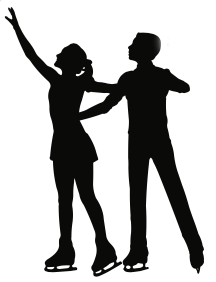 With the man performing the pivot, the woman can circle around her partner on a forward or backward, outside or inside edge, with her head tilted back. 1. In order to move into first place, the Moir and Virtue must perform a smooth and flawless forward outside death spiral. The most difficult of all the death spirals.